A water flow that evolves from the well to a creek, to a powerful stream has characteristics, which also constitute a business procedure. In its bed the water always flows from the mountain to the sea, where it evaporates to clouds and returns to the mountains, where the whole cycle begins again. At the same time, the river carries with its mass of water rocks and other sediments, supplies the surrounding cropland with water and nutrients and allows with a certain size the transportation of people and goods. Business processes also have certain characteristics of the river. This makes the river an ideal metaphor for the business process. The following aspects illustrate some of these properties. The sum of the wells defines the starting point of a river. The discovery of the sources of the Nile shows that it may take some time for finding the real origin. On the other hand, the wells are determined by agreeing on official starting points. Something similar happens at the estuary, when the river widely spreads out and pours into the sea with various large streams. Business processes also often have several start and end points, which must be agreed upon. It is crucial that nothing happens before the start and after the end. Otherwise, the scope of the process is wrong. In former times rivers meandered through the landscape. That way the courses of the river have always shifted and thus modeled large valleys. Nowadays they try to curb the river with dams in order to prevent flooding and changing river flows. 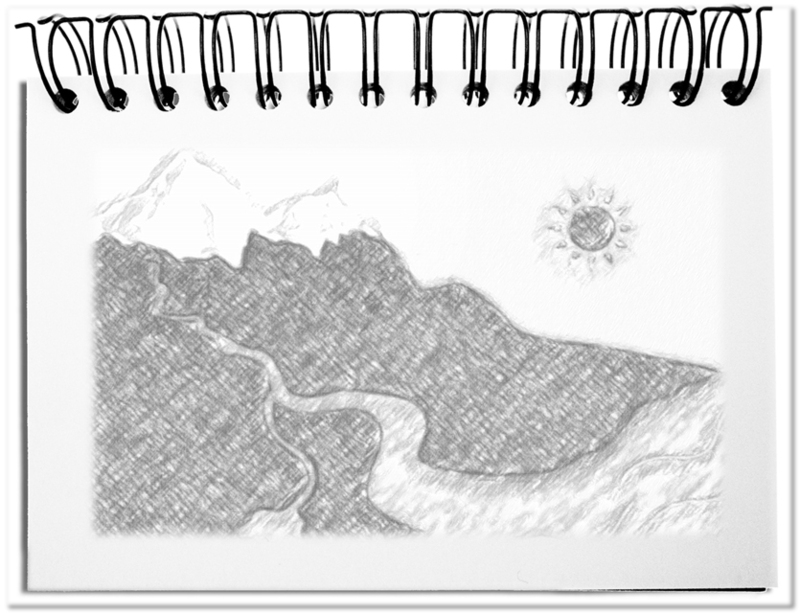 Basically, all rivers flow from the mountains to the sea. This results in a natural route, which still constitutes the river. Business processes also follow the common sense of the people. For this reason, processes already exist, before they are designed and described. The decisive factor is that these natural conditions are considered in order to avoid unnecessary friction losses. Some rivers seem not to be moving. Others overcome great heights and develop a tremendous energy that carries everything away. The descent determines the speed of the flow and the forces that evolve. Nature formed waterfalls, which expose everything that is transported in the river to severe stress. Without a slope, the streams spread to vast water surfaces, where a completely different flora and fauna lives. Business processes also differ in their speed. The slope is determined by the degree of automation. As soon as a procedure is processed by a computer, speeds are reached which we can no longer track, e.g. when virtual stock exchanges buy and sell in milliseconds. The requirements for the process are crucial. Correspondingly, the processes are accelerated by computers or slowed down by human participation. All things flow in a stream without the need of additional energy in the direction of the sea – except perhaps for control. As a result, rivers became early on transportation routes. The incurring effort is then the average of the expenses required for getting downstream and back upstream. Sometimes swirls appear which must be overcome. Business processes also have a tendency to flow quickly from the start to the end. As soon as the affected people resist and move outside of the official procedures, they need considerably more effort. It is crucial to take care of the natural flow and to get from the start to the end with as little energy as possible. A natural river carries rocks, earth, trees, and dead bodies, just everything that is in it. Sometimes this result in the formation of barriers at certain places, which then forces the river to leave its existing bed and find a new path. People have learned to use the river and to transport a wide variety of goods. In order to make the most of this possibility and to ensure the six inches water under the keel, the rivers were straightened out and regularly dredged. The business process also transports something – mainly information. But also materials follow the flow. Designing processes corresponds to straightening waterways. IT programs and defined task sequences determine the process. It is crucial that at the right time, the right information and materials are there, where they are needed. Bottom line: The intuitive understanding of a river can be well transferred to business processes. The well and the estuary determine the range of the river. The best way can be found through the force of the water, which is a result of the descend. Driving against the current requires a lot of energy, while floating with the current takes little effort. The immense amount of water that is flowing towards the sea without interruption, define the river productivity. Due to these characteristics, the river is the ideal metaphor for the business process. Dieser Beitrag wurde am Juni 10, 2017 von memecon in Communication, English veröffentlicht. Schlagworte: Business process, Current, Descent, end, Metaphor, Natural flow, River, start, Transport.